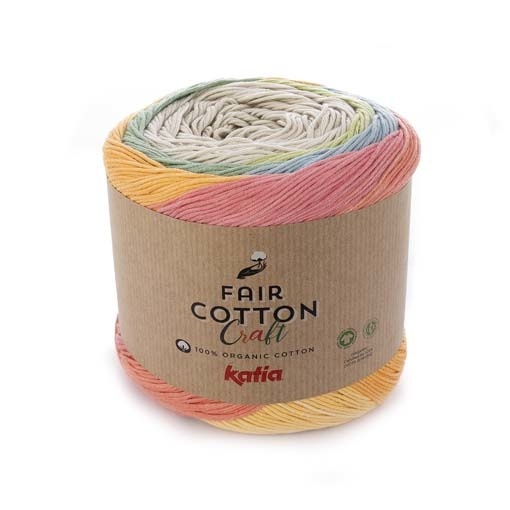 Katia Fair Cotton Craft is a great organic cotton yarn option warm weather garments and accessories and for those with sensitive skin. Each yarn cake mixes whites with brights for a finished fabric that slightly mirrors color-blocking and striping. 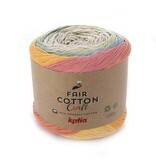 Fair Cotton Craft is a great yarn pick if you have baby showers or a new grandchild on the horizon. With just one ball, you'll be able to knit or crochet the perfect organic cotton baby blanket.